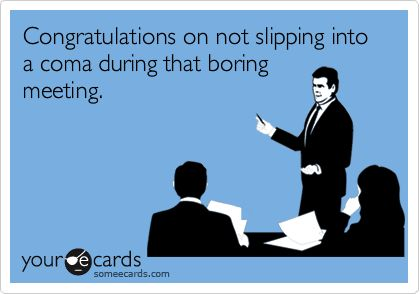 We’ve all been in meetings that never ended and accomplished little. While a meeting is supposed to serve as a place for updates and requests from assistance, they can consistently turn into free form discussions that are largely dominated by just a couple people and don’t move deliverables forward. Done right they can keep an organization well informed and moving forward, but done wrong they can steal valuable time from hard working employees and frustrate and demotivate them their efforts. If you’re suffering from meeting problems, here’s some tips that should help get your meetings back on track. Someone should be in charge of each meeting and keep it moving forward, sending out invites and setting an agenda. In many cases this is whoever has called the meeting, but for recurring meetings it can benefit the organization to rotate who is the leader to get all employees used to keeping the meeting on track. The goal is that all members feel accountable for keeping things moving. The leader is responsible for making sure everyone shows up on time and that the meeting ends on time. The secretary is key as the recorder of all decisions and follow-up items. If someone can’t answer a question but is going to go back and do some research, the secretary would record that as an action item. Likewise, the secretary at the beginning of each meeting should revisit all items that were supposed to be completed. All recorded items should have a date as well as an owner. The Collective Innovation Insta Poll feature was developed for the very purpose of having more efficient meeting and a better decision-making process. As a business grows it almost always becomes harder to innovate due to the need for more meetings and getting buy-in and consensus from an ever increasing group of stakeholders. Insta Poll restores agility with a one-click email voting system that can be used for just about anything and provides results within 48 hours. You end up with fast and better decisions that allow you to move forward. A timer can help make sure a meeting is finished on time and also help people get directly to the point and avoid falling into off agenda conversations. Set a time limit that each person is allowed to speak in order to get all voices around the table heard. Calling the moment is the ultimate timeout, in which you point something out and put a pause on the conversation. Every employee should learn to appreciate those who have the courage to pause a conversation between two others that is getting off-topic, heated, or has gone on too long. By calling the moment any other person in a meeting can ask that the conversation be taken offline and the meeting put back on track. One of the common complaints about meetings is that they tend to be dominated by the views of one or two people. This does not benefit the organization as each employee represents a different internal and external view and they hold a piece of the puzzle that needs to be heard. There are multiple ways to help include these people but the easiest is simply to go around the room and give each person a chance to talk. If they have nothing to add that is fine, but it’s opportunity that is important. If meetings typically run out of time without letting all voices be heard consider using a timer of 2 minutes per person. Allowing a meeting to go over even once sets a bad example that is likely to be exploited time and time again. Time schedules should be kept to in order to encourage efficiency and to also not cause a cascading effect on other meetings. 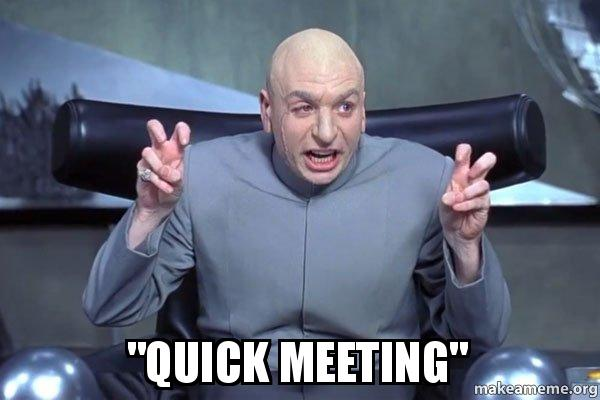 Take the last couple minutes of a meeting to invite the group to comment on what went well and what didn’t work so well. This will help everyone improve the next meeting. Showing up to a meeting without having been sent materials is a recipe to go into a brainstorming session. People need to receive the information beforehand so they can think about what is presented and gather any pertinent information they have. They also need this agenda and materials so they can decide if their presence is in fact at all needed. Millions of dollars are wasted each year from companies tolerating certain individuals showing up 5-10 minutes late holding up the meeting. Important employees who could be working on engineering, sales, and marketing are instead sitting in a meeting room doing nothing. Let your employees know you expect them to arrive on time. Some organizations make the mistake of inviting everyone to a meeting but this can result in waste and take important people away from growing the company. It’s important to encourage everyone who is having a meeting to be mindful of who is present and for those who receive an event and an agenda to decide whether they are in fact needed to be in the meeting. This can also be done by defining for each meeting who is required and who has the option to attend. Meetings without any set of rules tend to be a free for all of personality and off-topic conversation. There should be a set of rules for actually making a decision. Who can call a vote and how many people need to be in favor to decide to move forward? Who, if anyone, has the power to veto or table a decision? There must always be an approval mechanism, even if it’s just the main boss who makes the call. Someone must be accountable for every action that is decided in a meeting. The secretary is responsible for verifying that someone has been assigned for everything that was decided on. If it was decided to build a sales model, a date must be set and an owner must be assigned in order for that to be delivered. Accountability is also up to the secretary to go over deliverables discussed in the last meeting. Long meetings can get stuck in a cycle of not getting anything done or getting deeply off track. Call a time out to stretch or take a couple minutes for a break. This will help get people back on track and finish the meeting on a productive note. These short breaks have been proven by research to help reset the brain and save time in the end. Research has shown that the ideal meeting length is between 15-18 minutes. Longer than that and you start losing attention. Stay to the point, and avoid subjects not on the agenda. 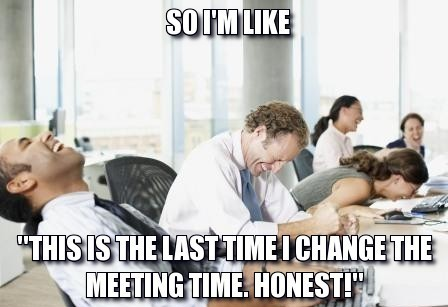 It can be counter-productive to have meetings over an hour. If a meeting keeps getting canceled it should be permanently canceled. This is a permanent block on your employee’s times that they have already worked around and persistent last minute cancellations take up valuable time. Employees may have already prepared for the meeting. 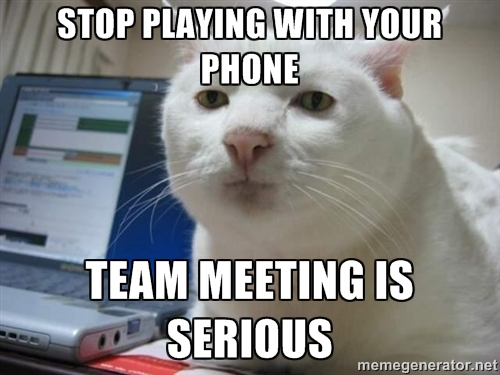 Phones and laptops are distractions that will help people tune out the meeting. If someone is presenting it will also reflect poorly to them if people in the audience are shown to be disengaging. Meetings are taking up precious time of the organization and during them all participants should be focused. 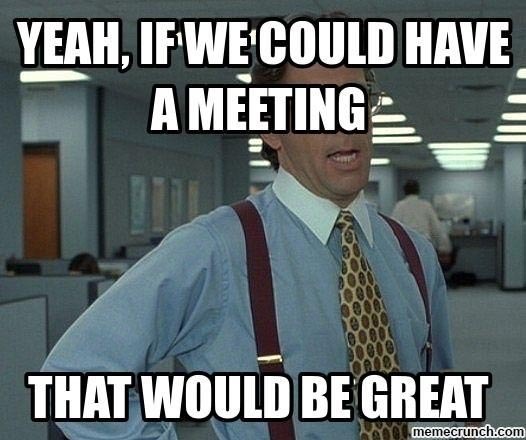 Let’s hear some of your meeting horror stories in the comments! 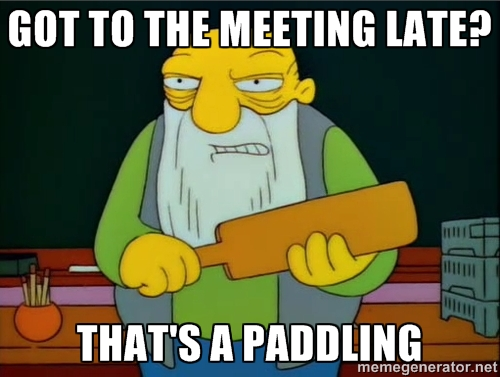 What’s the longest meeting you’ve ever been in?